The first bout at Hell or Highwater was an absolute cracker. In a testament to this stacked night of action, this match could main event any card across the land. The 5-time EPW Champion Pitt took on Robbie Eagles, who is currently the toast of Australian wrestling as prepares for PWG’s Battle of Los Angeles. Pitt started the match methodically and supremely confident to the point of sending his co-tag team champion Damian Slater to the backstage area. Eagles looked to pick up the pace and bring the match on his terms, but Pitt would create some distance to halt that momentum. As the tag team champion looked to suplex Eagles inside out from the apron, Robbie Eagles cleverly slipped out to turn the tide with a flurry of offence that had Pitt reeling. Before you could blink, Marcius Pitt was on the outside and in the drop zone for a flying Eagles. As Eagles rode the momentum, he climbed to the corner before a previously banished “World Beater” reemerged from the back. As Slater distracted the referee, Amber slid into the ring to attack Eagles, attempting to play a valuable role in causing him to eat a defeat at the hands of a Marcius Pitt F5. Eagles was determined to fight on as he surprised Pitt and the EPW faithful by kicking out at 2. The two men then traded strikes. Eagles lifted Pitt up into a Burning Hammer neckbreaker combo, and it was The Untouchables member who summoned the resilience to get his shoulder up before 3. Eagles had a 450 on his mind, but distractions from Slater and Amber gave Pitt the time to recover and leave Robbie splashing nothing but knees. A second F5 was too much to overcome as Marcius Pitt’s winning ways continued. Jordan Bishop was out for revenge on Billy Williams after their Cinco de Mayo encounter, whereas Williams was keen to deliver another message to EPW after leaving ‘The Godfather’ Davis Storm laying at Evolution. Before the match could begin, ‘Azazal’ Drake Wallace attacked Bishop from behind during his entrance. While the beating ramped up, the familiar strains of Davis Storm’s theme music began to play. As the EPW crowd began to rumble in anticipation, the ruse was revealed as the music changed and Billy Williams came calling down the ramp. Jordan Bishop came out firing, keen to leave a mark on the self-proclaimed new Demigod of EPW. A familiar tale began to unfold as THEM used their numbers advantage, in the form of Drake Wallace to allow Billy Williams to cheapshot Bishop and take control. Williams dominated as Bishop attempted to rally back, utilising the crowd’s support. He created a window of opportunity, capitalising with a Diving Headbutt. ‘Azazal’ Drake Wallace sensed the change of fortunes coming and leapt onto the apron. This gave Billy Williams the time to recover and hit the Eye of the Storm to send a strong message along with the 3 count. 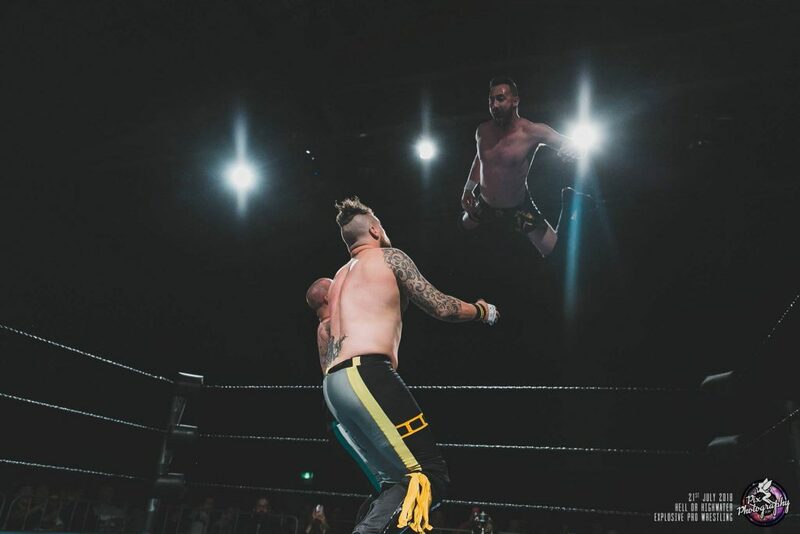 After Mean Dean Olsen retrieved the Invitational Tournament Trophy from The Untouchables earlier in the day, it was time for Block A action to commence on the longest running tournament in Australian wrestling. 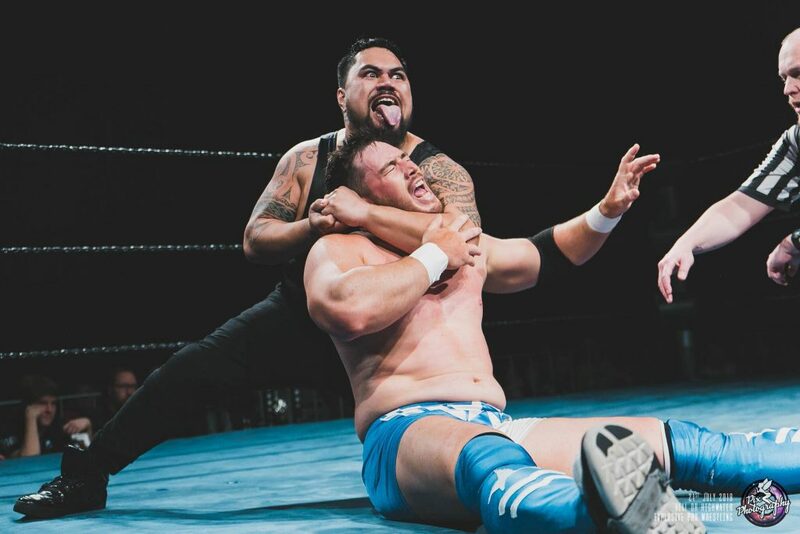 The muscle of the Taylor King Taskforce, Tipene was completely focused in the lead up to his match with Kiel Steria. It was a huge opportunity against a former Champion looking to ascend back up the rankings of EPW. Steria was seemingly caught slightly off-guard by Tipene’s strength when he couldn’t budge Taylor King’s security. Tipene took the opportunity to assert his authority early, hitting Kiel Steria with a Samoan Drop. 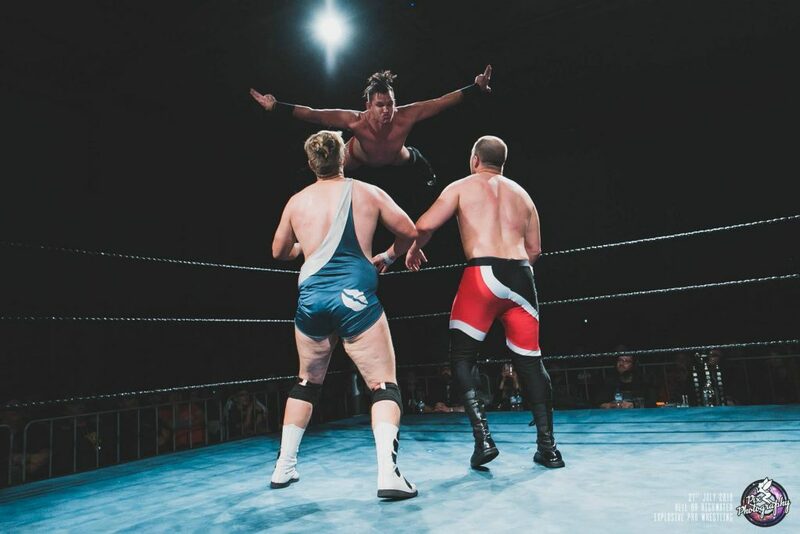 Not to be outdone, Steria turned the tables and showcased his strength in chopping down Tipene before dazzling with a moonsault from the top. Steria tested the density of Tipene’s head before the Double Hook Piledriver put him away for the pinfall. 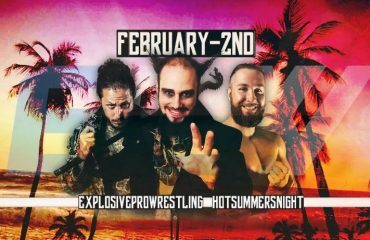 The Headhunters have had a stick up their proverbial craw of late due to a perceived lack of support from EPW management, specifically calling out the “poster boys” Kingston and Grey. 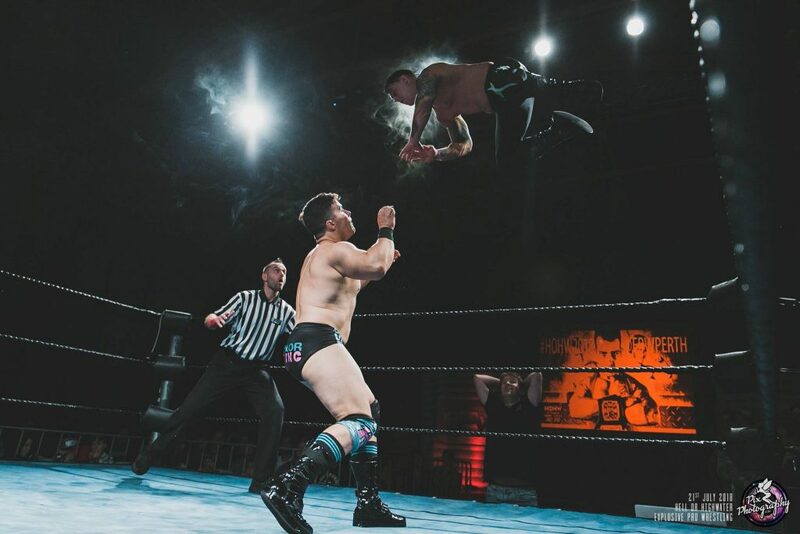 After The Headhunters interfered in their matchup at Evolution, the Hooligans were looking to settle the score and immediately raced to the ring to start the action. Given the tornado tag format, it did not take long for the pace to become frenetic and the action out of hand. The action spilt outside as Alex Kingston ollied his way over the guardrail onto the Headhunters in the drinking area. Grey soon joined them by leaping off from the corner post all the way to the outside as well. The Headhunters managed to recuperate and take over. They made their way around Bodyslam Central, slamming heads into the Bar and Merchandise Table like a twisted Danoz Direct commercial. 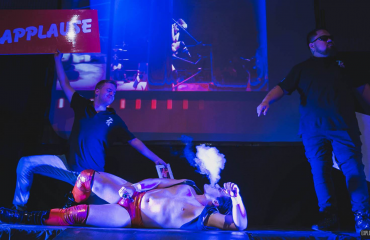 When Kingston was about to regain the upper hand, the “injured” Jarrad Slate appeared to ram Mr. AK47 into the steel roller door, leaving Logan Grey in a two-on-one predicament in the ring. 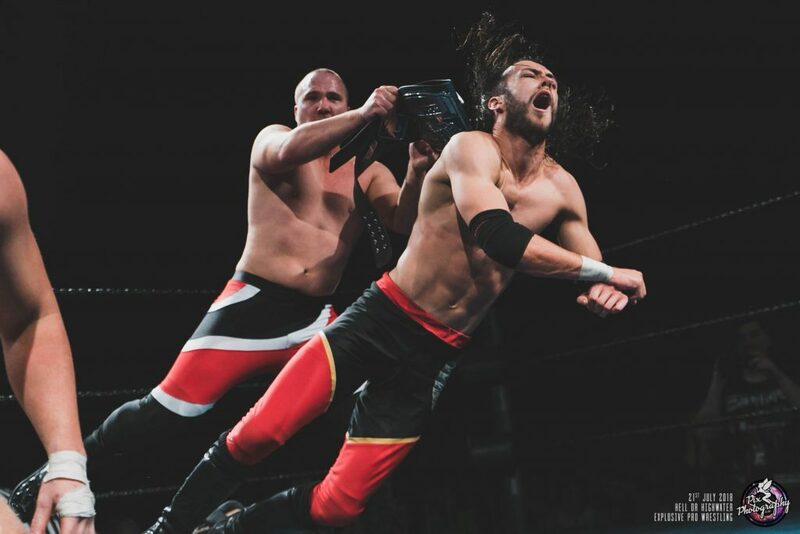 Grey was able to hold Steel and Twitch at bay long enough for Kingston to get back to the ring and even up the numbers game. Showing their trademark chemistry, the Hooligans hit their Greatest Hits in succession; Stampy the Elephant, Border Patrol and the Iron Lotus. However, the certain victory was thwarted when Steel pulled the referee from the ring before his hand could strike canvas for the third time. Using this to distract the referee, Slate, Steel and Twitch combined to capitalised with a Steel Slam and Running Knee Strike to pick up the win and keep their undefeated streak in place. As the EPW cameras hovered backstage, they managed to capture a family meeting between Generation Zero. ‘The Don’ Michael Morleone laid down the law, calling for unity and victory at Hell or Highwater. Reeling from the loss of the Tag Team Championships, Gen Zero were keen to get back on the winners’ list as a team. ‘The Big Rig’ has also been having issues with Vegara and Taylor over his Coastal Championship. For the former ‘Taylor Made Diamonds’, they’re still finding out themselves as a team after rekindling their tag team bromance. Gen Zero started well, weaving in and out of the ring with some textbook tag team wrestling. They showed they were on the same page, unlike Taylor and Vegara who were still having some communication issues. Zenith was firmly in control until some handy distraction work from AZ Vegara allowed Jay Taylor to reverse the tide on the former EPW Tag Team Champion. Using the EPW Coastal Championships to shift Scotty Ryan’s focus away from the match, AZ and Jay Taylor were able to keep Zenith isolated in the ring. Ego would get the best of them, however, as they argued over who would deliver the moves or take the pin. This would become their downfall, as while they argued, Scotty Ryan hit a CY O’Connor Roll on Taylor for the 1-2-3. The victory celebration was shortlived as AZ Vegara hit Ryan with the Coastal Championship from behind. 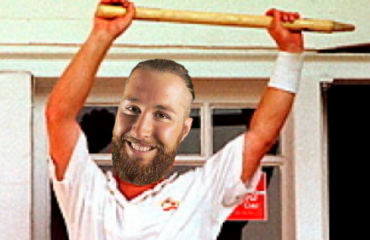 With Scotty Ryan fallen, AZ and Jay Taylor played tug of war with the Coastal Championship, giving Gen Zero time to recover and clear the ring. A confident but frustrated Coastal Champion laid down the challenge for the next show; Scotty Ryan will defend his EPW Coastal Championship against AZ Vegara and Jay Taylor at Vendetta on August 25th at Bodyslam Central. Gorgeous Garry made his way down for commentary in the Second Semi-Final in Block A of the Invitational Tournament. 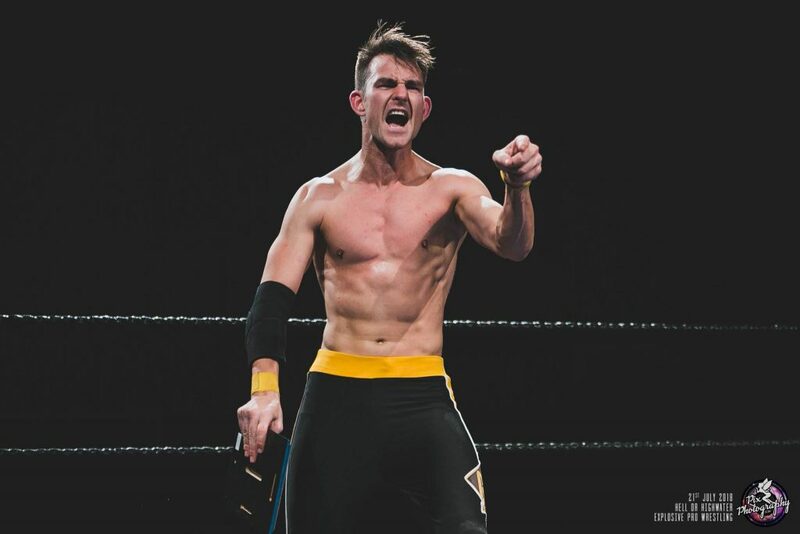 Taylor King was on a high from the social media buzz after his victory over Garry at Evolution, whereas Craven was looking to make a mark in his EPW debut. No stranger to the Australian wrestling public, Craven was determined to take the Invitational Tournament, and EPW, by storm. With his usual swagger, Taylor King tried to muscle Craven around the ring early. ‘The Australian Sensation’ showed his experience by taking him down with some rapid offence. King got a little help, with his “friends” (the Taskforce) stepping in to get him back on top. Although new to EPW, the fans got behind Craven as he escaped the clutches of an Achy Breaky Neck. As the Taskforce stirred, Gorgeous Garry forfeited his journalistic integrity to try to preserve the integrity of the match by leaving the commentary desk. In the ring, Craven looked to hit the Swanton Bomb but a wily Taylor King was able to narrowly avoid the impact. ‘The Child Star’ proceeded to do his thing and connect with the Achy Breaky Neck, advancing in the Invitational Tournament. The Main Event of Hell or Highwater saw a contest between the EPW Champion and the 2017 EPW Wrestler of the Year. ‘The Don’ had taken on all comers successfully to this point, while McGavin has been backing up his braggadocious claims with major victories of his own. The EPW Champion was conducting the chants from the fans as the challenger tried to compose himself. As the action began, Morleone showed his experience as champ by calmly staying a step ahead of ‘The Real Wrestler’, lighting him up with some brutal chops in the corner. 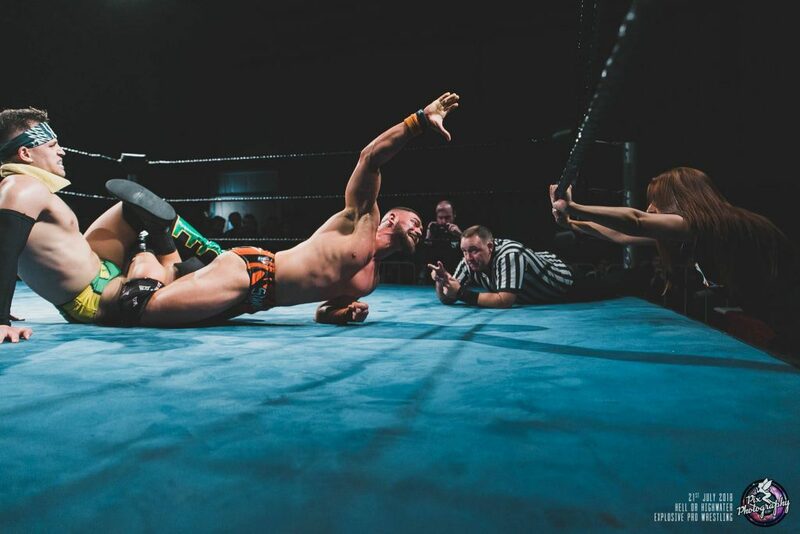 The dominance continued until a crafty and vicious counter from McGavin was hit, as he delivered a German suplex from the apron to unprotected floor. Showing his match awareness, McGavin stopped the referee’s 10 count to keep his championship dreams alive. The challenger was starting to feel his oats as his attack gained confidence. Controlling Morleone, he began to sap the energy from the crowd and the reigning champion. Despite countering Morleone’s efforts at a comeback, it wasn’t enough to put ‘The Don’ away. Morleone was able to hit a hail mary Pumphandle Powerbomb. 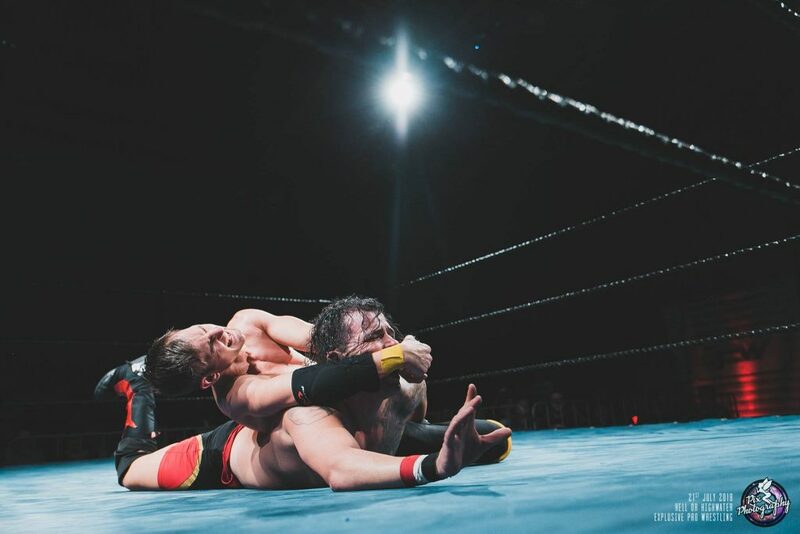 Towards the end of the match, McGavin felt the EPW Championship in his grasp as a crossface seemed to be taking the last bit of fight out of ‘The Don’. The fighting champ was able to take down his challenger, but in the process collected the referee, rendering him unconscious. This prompted Generation Zero’s Hayden Zenith to run to the ring and throw in a bag of powder. As ‘The Don’ threw the bag down in rejection of the outside assistance, ‘The Real Wrestler’ hit Morleone south of the river with a low blow. Taking matters into his own hands, Zenith attempted to throw the powder into McGavin but succeeded only in blinding the leader of Gen Zero. The 2017 Wrestler of the Year collected his plaque, looking to drill the champion with the award before Zenith intervened once more, managing to wrestle away the award. 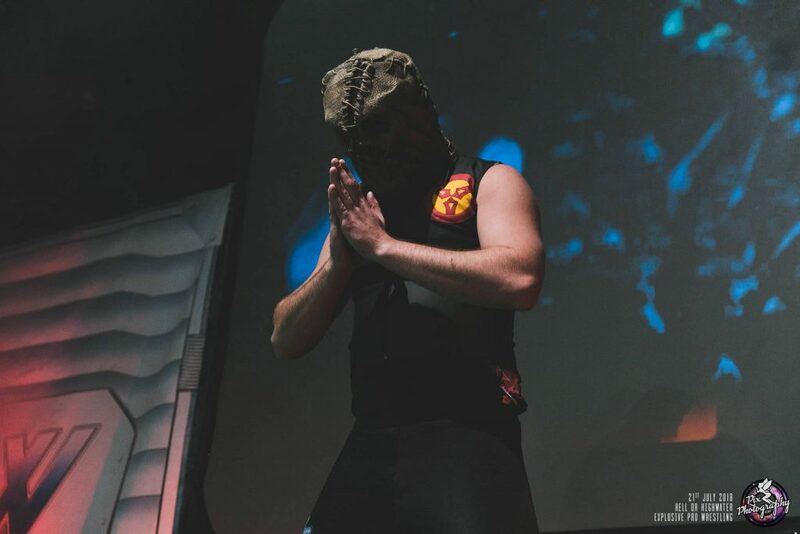 In the process, a blinded Morleone instinctively hit his patented Choke Bomb as the referee awoke to retain his championship in an eventful match. After the match, McGavin called out Morleone. At the time, ‘The Don’ was unaware of Zenith’s full involvement with the match. McGavin bought up the champion’s son and questioned how Morleone could paint himself as a hero. ‘The Don; firmly told McGavin that he owes the challenger nothing. However, to shut him up once and for all, he will grant him another opportunity for the EPW Championship at Vendetta… in a STEEL CAGE MATCH… where he vows to shut McGavin’s mouth once and for all. And on that note… see you at EPW Vendetta!